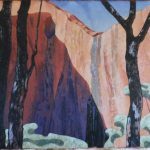 A husband and wife team exhibiting individual works inspired by the magnificent landscapes and detail in the environment while exploring central and northern Australia. 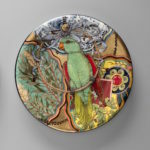 Please click here to view the e-catalogue. 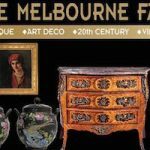 Join us at The Melbourne Fair, Caulfield Racecourse, 9–12 August 2018 where we will be exhibiting with over 50 dealers specialising in Fine Art, Decorative Objects, Furniture, Jewellery, Books, Collectables, Vintage Fashion and Couture. 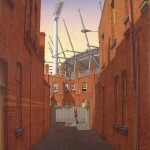 A selection of new works available. 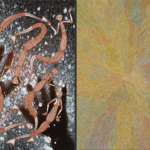 Following in the footsteps of their grandparents, two young artists, Lorraine Kabbindi White and Genevieve Kemarr Loy continue the tradition of creating striking artworks inspired by their ancestral landscapes. 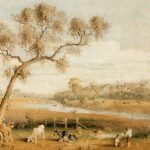 The Annual Collectors’ Exhibition 2017 will feature Australian colonial, impressionist, modern, contemporary and Australian Aboriginal painting, drawing, sculpture and decorative arts. 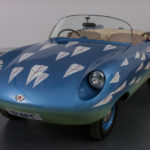 A commissioned art project featuring a Goggomobil Dart car painted with Robert Clinch’s signature paper darts. 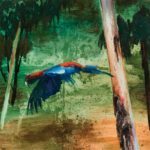 In addition to the car, the exhibition features working drawings, paintings and a preview of the forthcoming documentary video about the project. 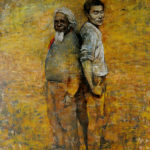 Robert Clinch will present an artist talk on Saturday 1st April at 2.30pm at Lauraine Diggins Fine Art.